Big Question - Why To Invest In Service Apartment? Investing In Serviced Apartments Is A Good Idea reason being serviced apartments offer relatively strong returns with comparatively low risk. Moreover there is no hassle of managing your property as that will be taken care by Bridgestreet , right from maintenance to getting clientele for Serviced Apartments. Bridge street has exclusive tieups /mandate with Global companies which will ensure more than expected returns on your investment. At present, investment in residential properties is more for capital appreciation than rental income. But, here with us get both capital appreciation as well as rental income. It means ‘Financial Stability at the same Mental Stability’. When we say mental stability, we mean it, as serviced apartments provide more of a ‘home away from home’ feeling. With the steady growth of business travel and tourism in many parts of India, and consequently high-to-full occupancy rates, serviced apartments are becoming more widespread across major cities. Compared to residential projects serviced apartments offer relatively strong returns with relatively low risk. In addition, typical residential properties rely on bureaucratic negotiations with the tenants - as well as the many costs associated with being a landlord – but these issues are mostly taken care of for serviced apartment investors and the management fees are minimal. No doubt, Serviced apartments are becoming more widespread across major cities and a preferred choice for those seeking a luxurious lifestyle at less expense. As far as benefits are concerned, then of course, serviced apartments offers more space, freedom and comfort, typically include services like front office (properly equipped working area), entertainment facilities like T.V., Music System, soft-furnishings, fully-equipped kitchen with full range of cooking utensils, fridge and microwave besides housekeeping staff and a concierge service. Hence, we call it a convenient configuration for family, group or business travel (therefore one can work, remotely). 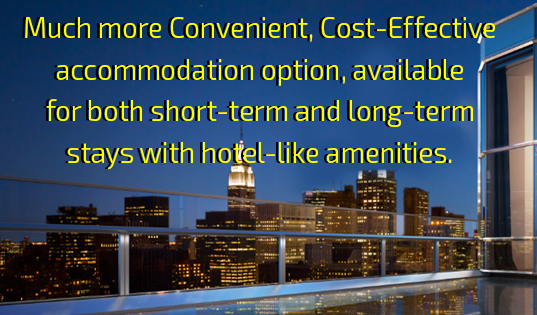 What are the advantages of buying a serviced apartment over a regular apartment? Eliminates the stress of finding good domestic help as services are already on hand. Security & Safety are of at the highest levels with 24 hour guards, cameras inside & outside premises. Costing varies according to the project and the location which will include EDC, IDC, PLC. What facilities can end users avail from BridgeStreet? Option of renting apartment back to BridgeStreet with the best returns. What is included in maintenance? What return can BridgeStreet give me should I wish to lease my serviced apartment out to them? 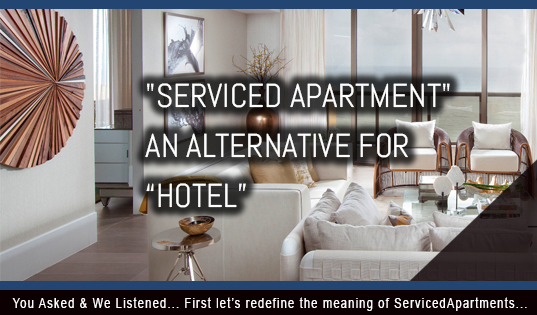 What are the benefits of buying a branded serviced apartment over a non branded equivalent? What is BridgeStreet/Branded Residencies involvement in the project? Branded Residencies is Exclusive channel partner for BridgeStreet. Branded Residencies will be responsible for marketing of BridgeStreet. With us, no need to have second thought, if you’re an investor then investing in a serviced apartment is certainly something to consider for the future. And not to mention, If you want to invest in real estate, it’s advisable to broaden your horizons to serviced apartments for a higher annuity income. So Get Ready for Tomorrow. Today.